The Farmer didn’t notice it until I pointed it out to him. Would you like to see that a little more up close and personal? Well, here ya go then . 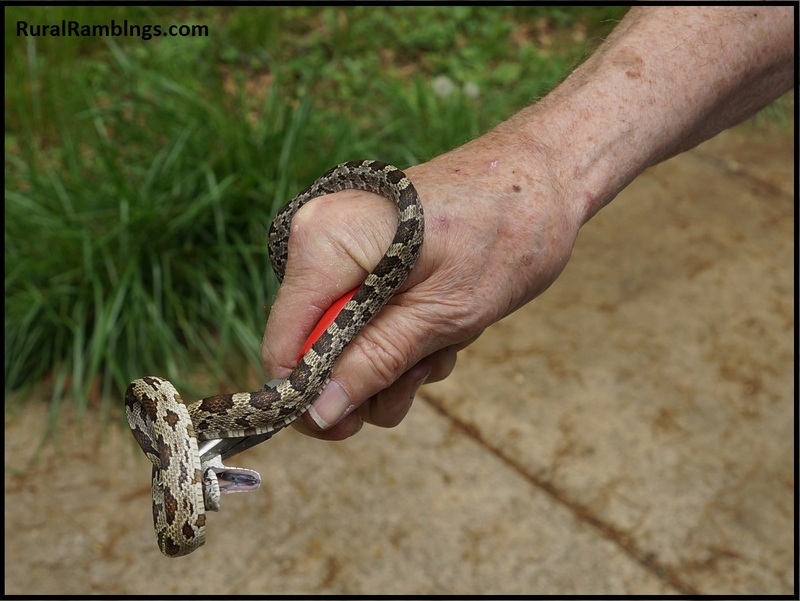 . .
Oh yeah, warm weather means we have to deal with creepy-crawly SNAKES. And here was one laying on the bar across the storm door. Our front entrance! That means he had to crawl up onto the front porch and over to the door. Why did he need to be there? 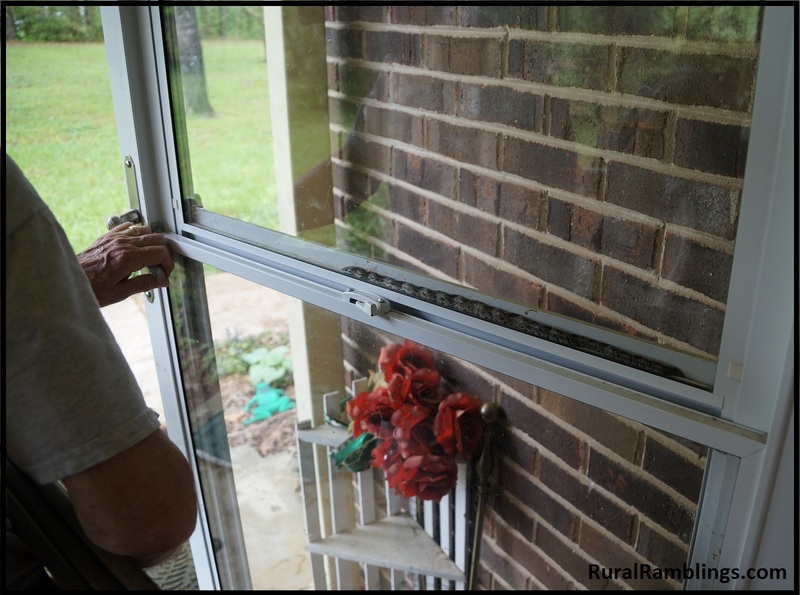 He was not a happy snake when The Farmer removed him from the storm door, oh no. But guess what? I wasn’t a happy person to see him on the storm door in the first place! So if I have to be unhappy, gee, he might as well be unhappy too, right? I don’t know what sort of snake this was, except it was an UNWANTED snake. 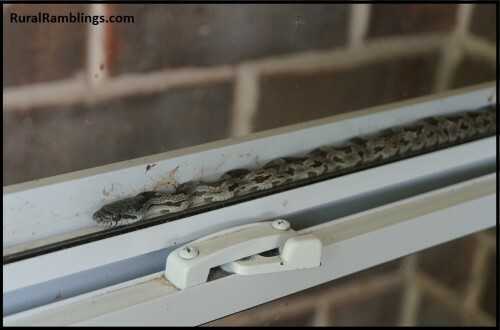 I do not particularly care for the idea of snakes trying to get into the house. Or even just on the porch. Stay out in the fields and eat the rats and mice if you please. So yeah, this is what’s wrong with warm weather… fleas, mosquitoes, ticks… spiders wanting in the house… and SNAKES. Stick Tight Dogs: Time Doesn't Change Everything!